Padang Bai harbor Bali is the popular port connecting between Bali and Lombok, this port is located on the North East Bali about 1 ½ hour on the car if you stay on the South Bali like Kuta, Seminyak, Nusa Dua, etc and about 30 minutes from Candidasa or Ubud. This big port is also used for the ferries uploading from or to Lombok. 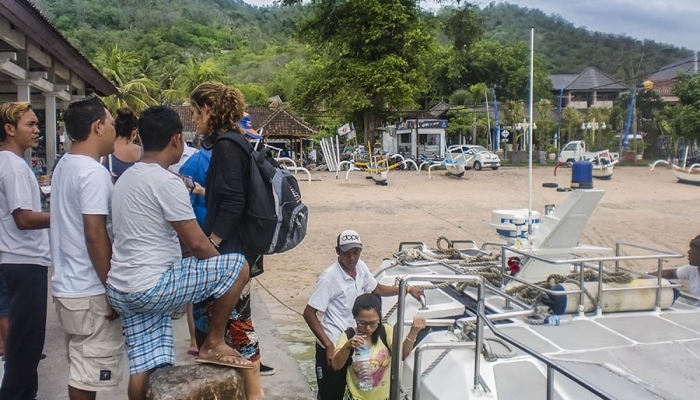 A small village Padang Bai becomes a light International uploading passenger to Gili Islands and Lombok. 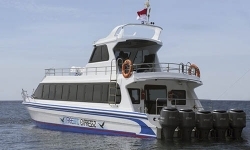 The port has two main gates, first on the southeast for the ferries and just about 300 meters away is using as the gate for fast boat transfers to Lombok and Gili Islands. Accommodations and Restaurant are available from backpackers to stars hotels. Padang Bai has some accommodation for the transit, they have spread around from Home stay to three stars Hotel. You can find some cheapest accommodation here, start from IDR 250.000 per night. Restaurants are also easy to find here, from Warung which serves Indonesian foods (Nasi Bungkus) to western cuisine. 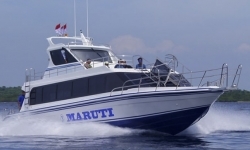 Most fast boat from Padang Bai to Gili Islands offer the morning schedule at 09.00 AM and some offer the afternoon schedule at 01.00 PM, so if you decided to go on fast boat from Padang Bai, make sure the time you are going to choose is fit for you and choose the most reliable company which is fully responsible for your best trip to Gili Islands and Lombok. 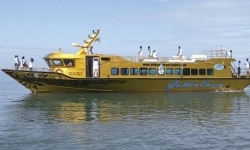 The boat destinations from Padang Bai are Senggigi in Lombok, Teluk Nare and Teluk Kodek in the North Lombok, Gili Air, Gili Trawangan. Most fast boat making their first stop in Lombok before Gili Islands. 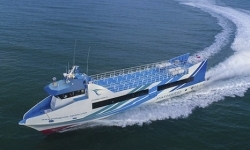 The travel time is about 1 ½ hour on the sea. So when you start at 09.00 AM from Padang Bai, you will be at 10.30 AM in Lombok and about 11.00 AM on Gili Trawangan. 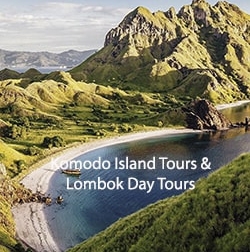 Book your fast boat Bali to Lombok, Bali to Gili online and make sure you read and understand the terms and condition before deciding to pay. Make sure your ticket state on the right company that you have booked and if there is any problem with the booking you may call or e-mail Us as soon as possible. Here are some fast Boats that leaves from Padang Bai, Marina Srikandi, Wahana Gili Ocean, Semayaone Fast Cruise, Mahi Mahi Dewata Fast Boat. Book online with the easy booking confirmation and the fast boat tickets will send right after you make a booking and payment.